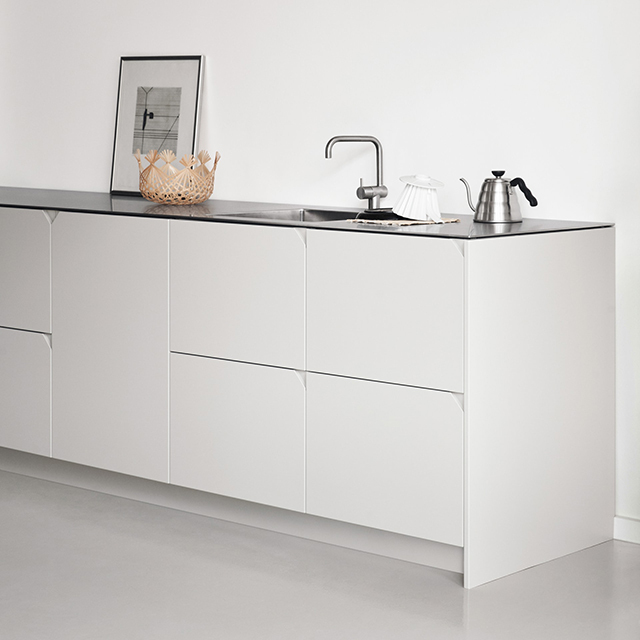 Renowned designer Cecilie Manz has created a kitchen for Reform, the Copenhagen-based company specialising in the customisation of Ikea's Metod kitchen cupboards. Designed on simple principles of balancing functionality with a hospitable atmosphere, Degree features beautiful detailing and honest materials, resulting in a contemporary and timeless look. The steel countertop provides both a practical and raw expression, balanced with warm shades of the cabinet fronts in golden Oregon Pine and rich painted grey. 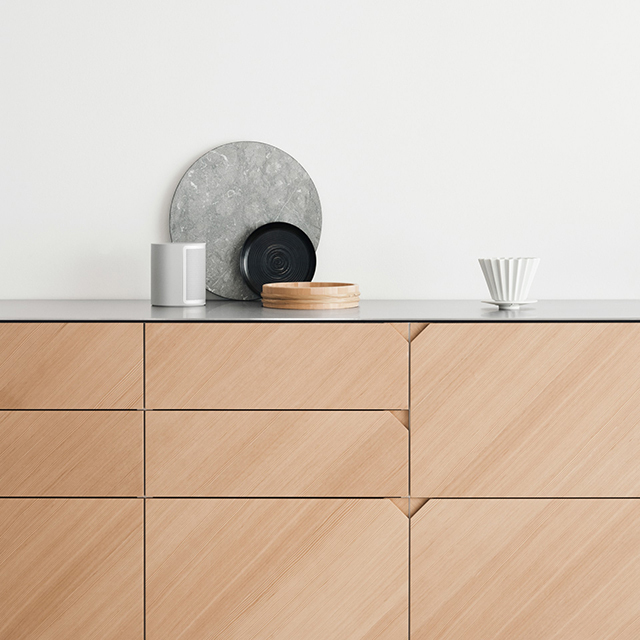 A unique feature of the design is that the wood grain of the Oregon Pine is positioned at 45 degree angles. 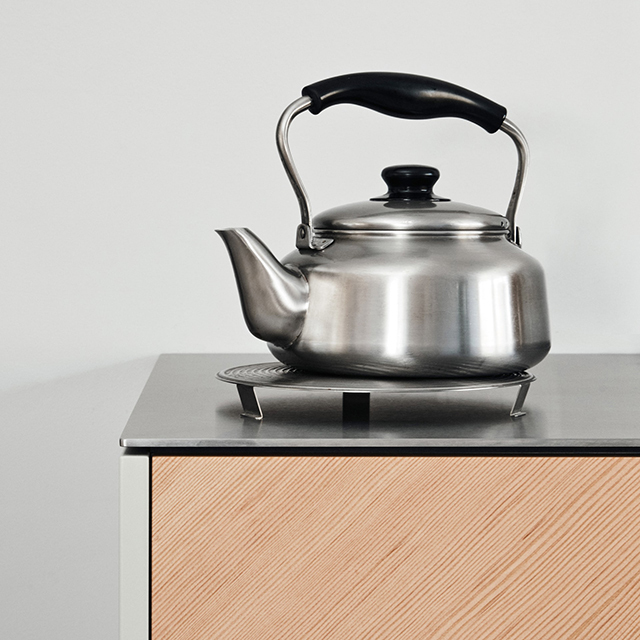 Creating a soft contrast with both the horizontal and vertical lines of the kitchen, the addition of a geometric notch handle placed in the corner of each front adds a graphic element to the overall look. 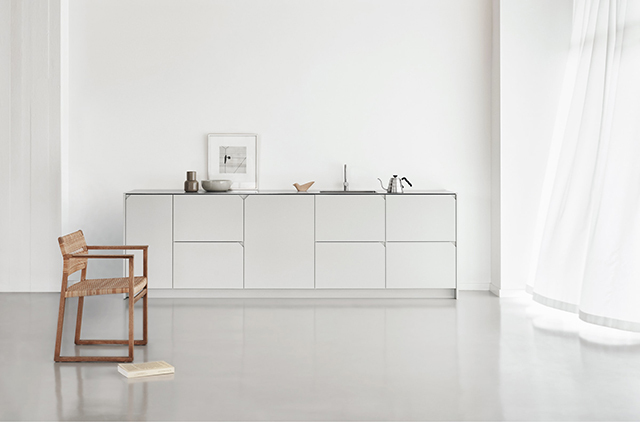 Cecilie Manz joins an impressive list of designers who have collaborated with Reform, including Danish architects Henning Larsen and Norm, who each created kitchen designs for the brand. Following graduation from the Royal Danish Academy of Fine Arts in 1997, Manz moved to Finland to continue her studies at the University of Art and Design in Helsinki. She then founded her own studio in Copenhagen and has gone on to create products for a number of high-profile brands including furniture, glass, lamps and many related products, mainly for the home. The award-winning designer was most recently named the Maison&Objet Paris 2018 Designer of The Year. 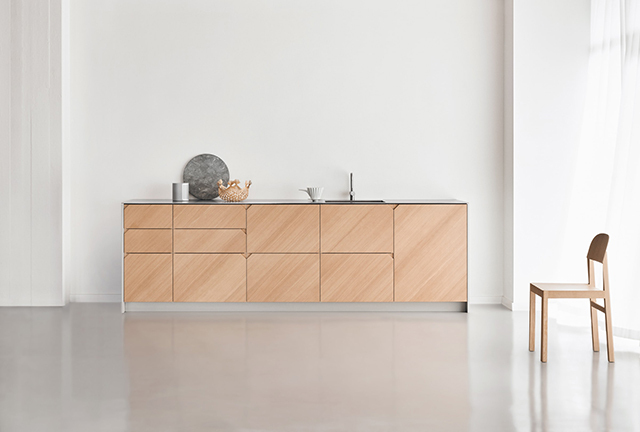 In addition to their main office in Copenhagen, Reform also have showrooms in Berlin and New York. For more information pop over here. 0 Response to "Degree By Cecilie Manz For Reform"